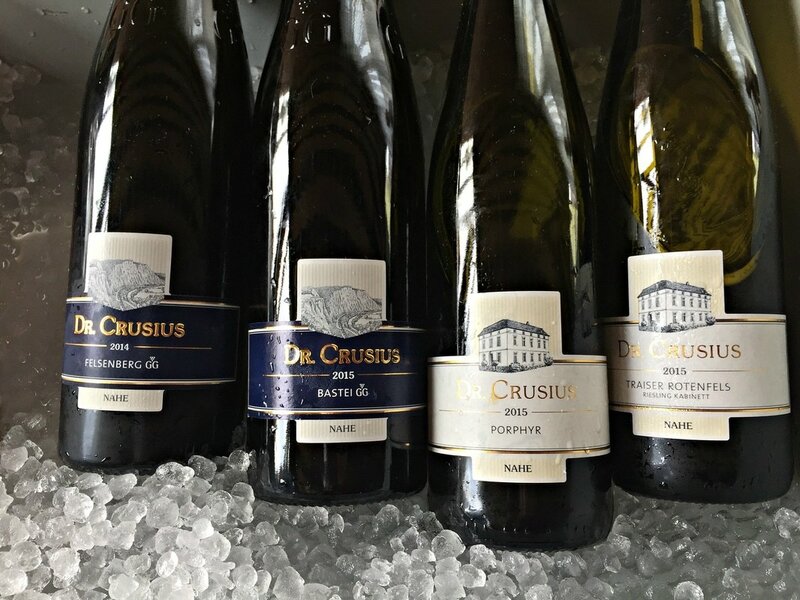 Chilled and crisp wines are a perfect way to beat Summer’s heat, and with all that the season brings, such as outdoor concerts, barbecues, pool parties, and al fresco dining, a thirst for a cool long drink brings out these refreshing beauties! Rosé, the pink wines are always a summertime thriller, and Riesling, mineral driven white wines whose high acidity is so refreshing, are traditional go-to summer wines. Familiar with Rosé and Riesling, but what about Ramato?! Meet the Pinot Grigio rosé, Ramato, made in the Friuli region of Italy, a product of a day of maceration with the pale purple skins of the grapes. A little different profile, this copper-colored wine displays a fruity bouquet and weight on the palate, savory and a bit exotic, with complex notes of ripe apple, citrus peel, stone fruit, dried fruit, and spice. Chambers & Chambers Wine Merchants imports and distributes a diverse group of these wines, from many of the major wine regions of the world. These classic, food-friendly, thirst-quenching wines are reason to celebrate the Summer Solstice, and can be drunk throughout the calendar year. Here are my highlights from a recent tasting, these are certainly wines to look out for. ​Rosé can be made from any dark-skinned grape, in varying shades of pink, depending on how long the juice stays in contact with the skins during the initial crushing and maceration of the fruit. Meant to be drunk young, they’re crisp and refreshing, highly aromatic, dry yet fruity, and perfect with a wide range of food. Riesling is a versatile grape, with every incarnation made, from sparkling to very sweet, all having that vein of buoyant acidity. A pure expression of place, the wines channel the mineral character of the soil, and are highly regarded as some of the finest wines in the world, excellent with food, with its combination of acidity and sweetness, and so, a favorite of many restaurant sommeliers. Stay cool throughout the summer with these unusual wines, by the glass or with food, it’s an alternative that will delight and surprise your family and friends.